It’s a question the news media and the left keeps asking, along with a number of Americans who decided back in ’08, along with that magnificent mental midget John McCain, that we had nothing to fear from an Obama Presidency. And the American people are starting to wake up to the threat Obama represents. 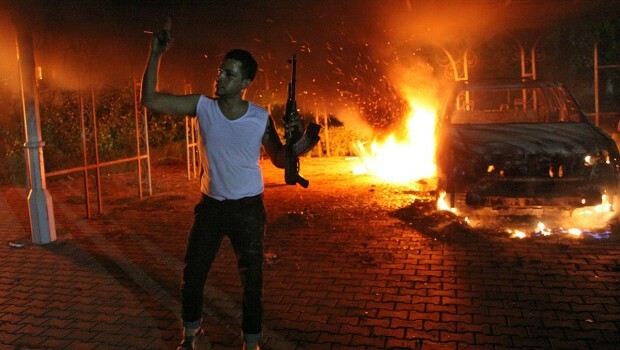 A State Department document, obtained by the House Oversight and Government Reform Committee, chaired by Darrell Issa (R-CA), revealed that the U.S. mission in Libya recorded 230 “security incidents” over a one-year period between 2011 and 2012, including other high-profile attacks, like the attempted assassination of the British ambassador in June, gunfights, the murder of foreign nationals, and an explosives attack on the Benghazi consulate that occurred on June 6, 2012, according to Catherine Herridge’s FOXNews article yesterday . Jim Quinn  the other day mentioned that it might actually be a little too late for all of this to come out to affect the election. I like, Jim having been acquainted with him loosely from his days in the Buffalo radio Market.